Jesse Divnich thinks that Sony's new handhelds could be the dark horse that overtakes Nintendo and Apple. A lot of hype is flying around the internet about the Nintendo 3DS, along with some deserved criticism of the device. We also can't deny the trend towards a more general kind of computing with tablets like the iPad and iPhone being used for games, taking a bigger piece of the handheld pie. But even with those two frontrunners gaining steam, Jesse Divnich from Eeedar thinks that we can't count out Sony's entries, next week's Xperia Play or the forthcoming NGP, from quietly taking the lead because of their superior technology. Still, Nintendo's heavy-hitting franchises might still win them the market share. 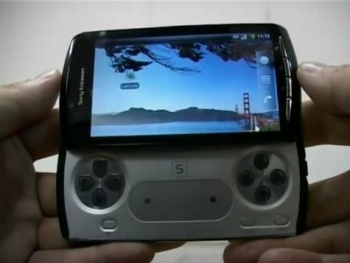 "Only one portable gaming system has the likes of Mario, Donkey Kong, Pokemon, Link, and many more," Divnich said. "At the end of the day, it all comes down to content, and in that domain, Nintendo is king." Given all of those immediately recognizable brands, who will beat out the 3DS? "If any product could do it, it would be the Xperia or NGP," Divnich said. "Both are amazing pieces of technology that truly evolve the mobile and portable gaming markets." I'm in the market for a new phone as I'm due for an upgrade, and I'm seriously considering the Xperia Play instead of buying a 3DS. So I think that Divnich has a point, but it's really those ads starring Kristen Schaal that bring it on home for me. After rewatching those today? Yeah, still freaking hilarious.